Ferrymead, a major service centre, was heavily damaged in the earthquakes and lost many of the large retail shops. This study shows that Ferrymead is also a major sporting centre for Christchurch. Two proposals are developed that explore coupling services with housing and recreation. 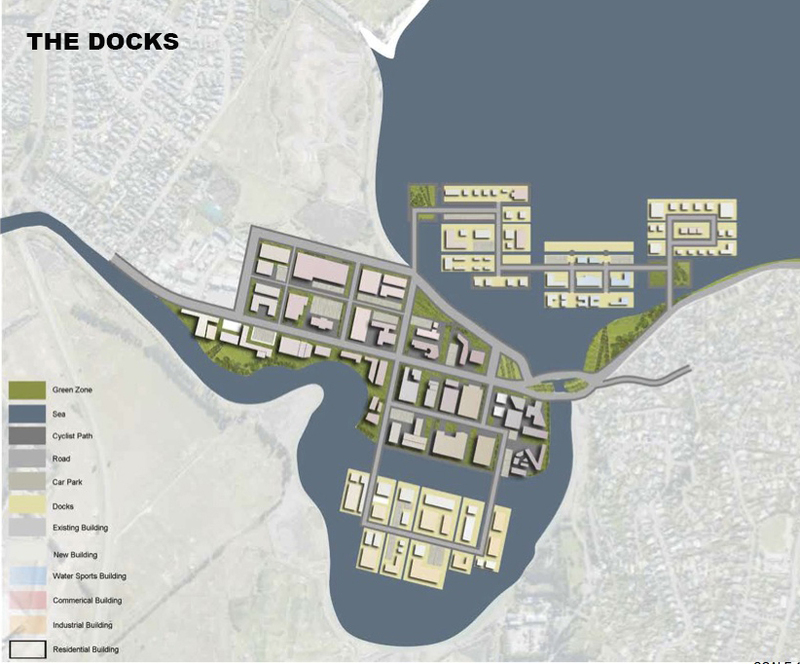 ‘The Docks’ looks to Vancouver as a model city and borrows from it the hierarchy of high, medium and low density gridded pattern and incorporates this into a dockland landscape. 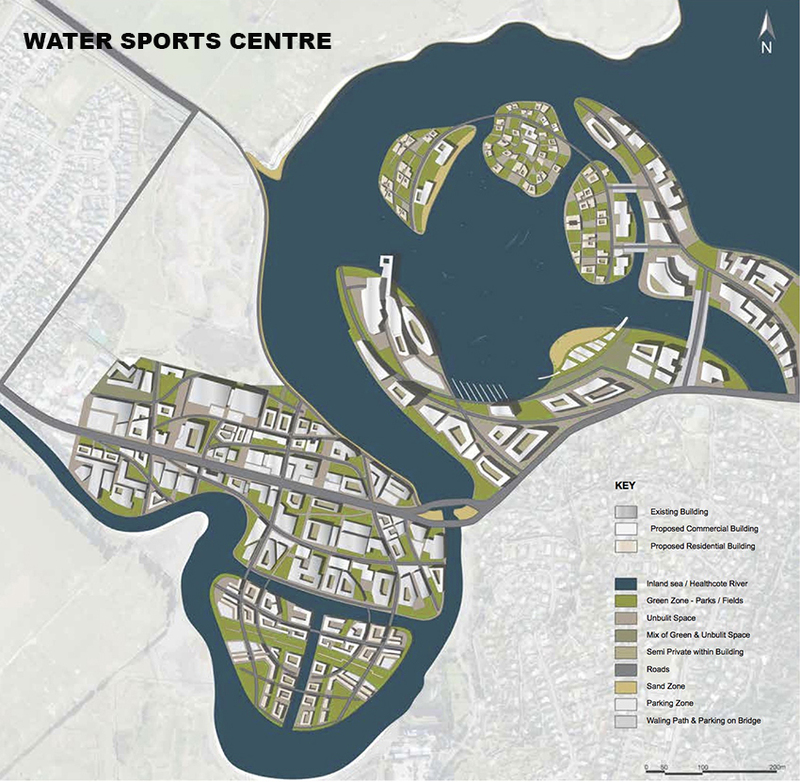 ‘The Water Sports Centre’ looks to Irvine and the Garden City to develop a centralised urban pattern that radiates from private to public in its land use.